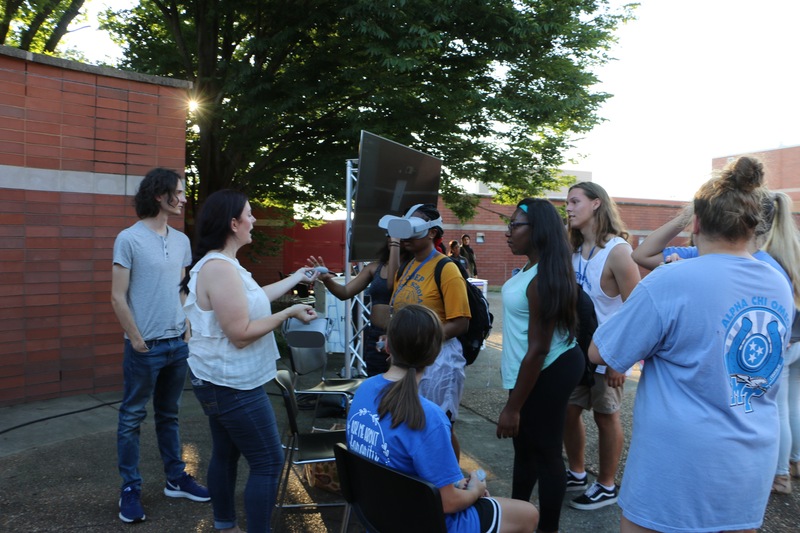 “Revisiting Reality,” an event that took place at Tuesday’s MTBaeWatch, showcased a version of a student-created virtual reality game based around recognizing people at risk for impaired driving and other alcohol-related incidents. A version of the game presented a filmed scenario of groups of people in a restaurant, all of which were at risk for unsafe practices surrounding alcohol. Some groups in the game, however, planned on combating driving under the influence on their own. 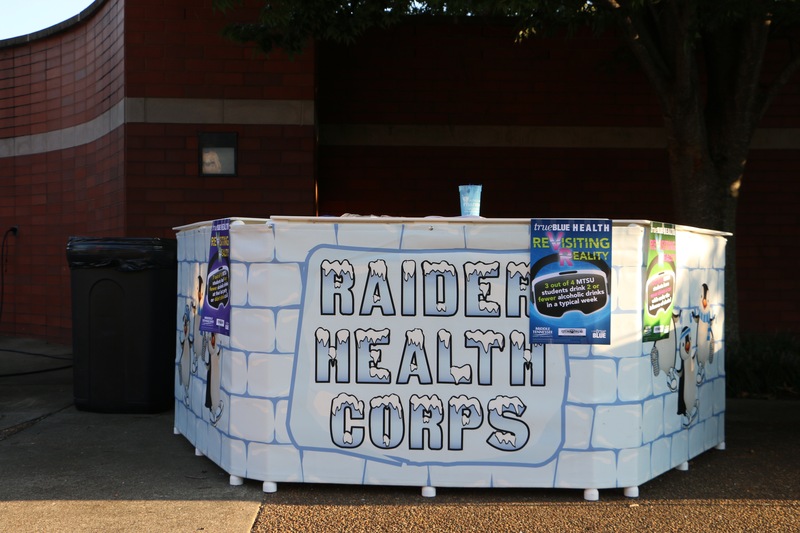 Dialogue in the scene revealed that some people had plans on having a sober designated driver or planning to use a rideshare service. 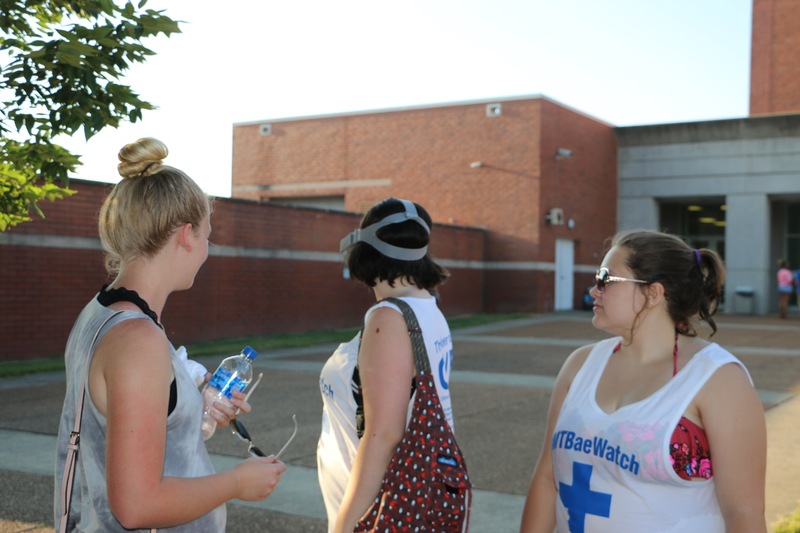 Others planned to switch from drinking alcohol to water for the rest of the night before driving home. 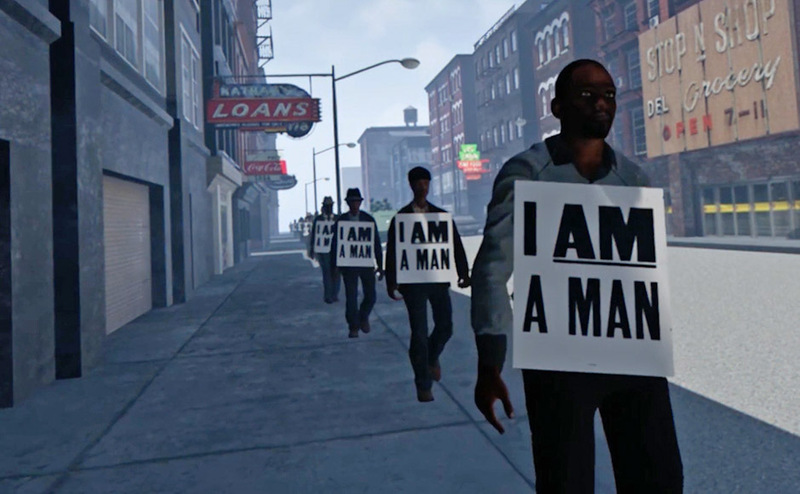 At certain points in the game, the player will be able to interact and identify the people who are planning on driving impaired, and the game will give them tips on how to intervene. 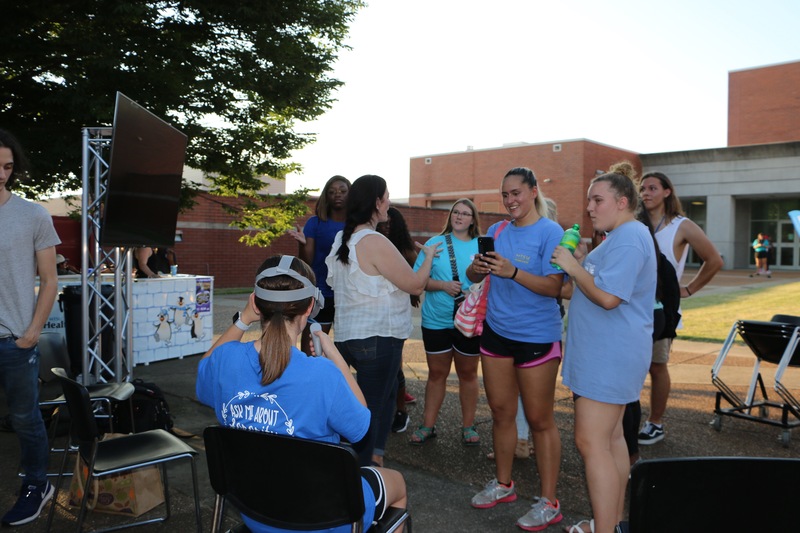 The game was created by MTSU junior and community and public health major Wala Ajaj and Elman Gonzales, a senior majoring in biology. 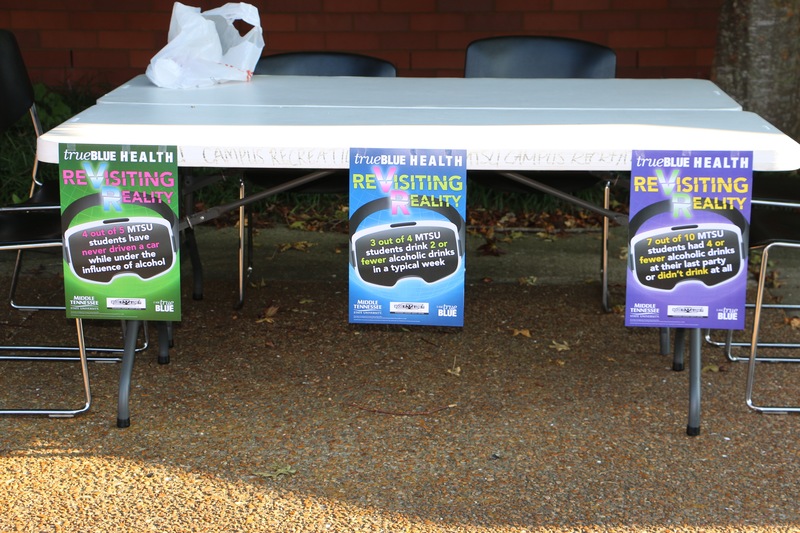 Lisa Schrader, the director of health promotion at MTSU, and Stephanie Dean, an assistant professor of interactive media, were also involved in creating the game. 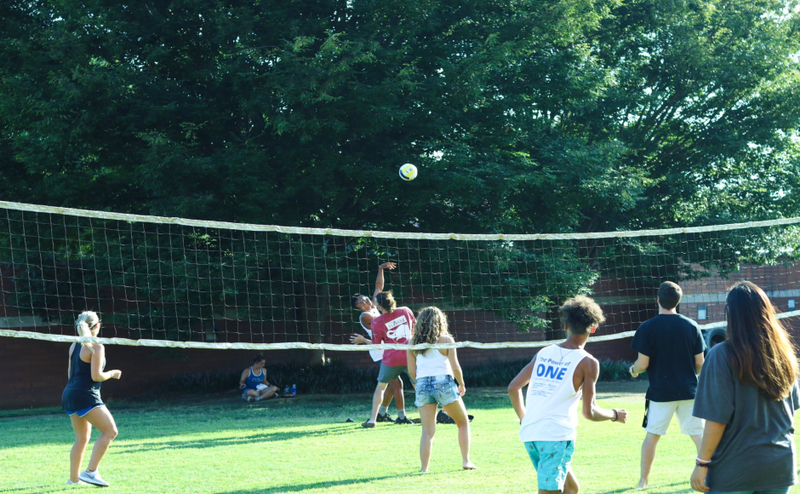 The game was created thanks to a grant from the Tennessee Highway and Safety office. Ajaj, Gonzales and Schrader came up with the concept, wrote the script and went to Dean to help with the filming and assembly of the game. Ajaj and Gonzales started working on the game in March of this year and are happy to see people experience it. 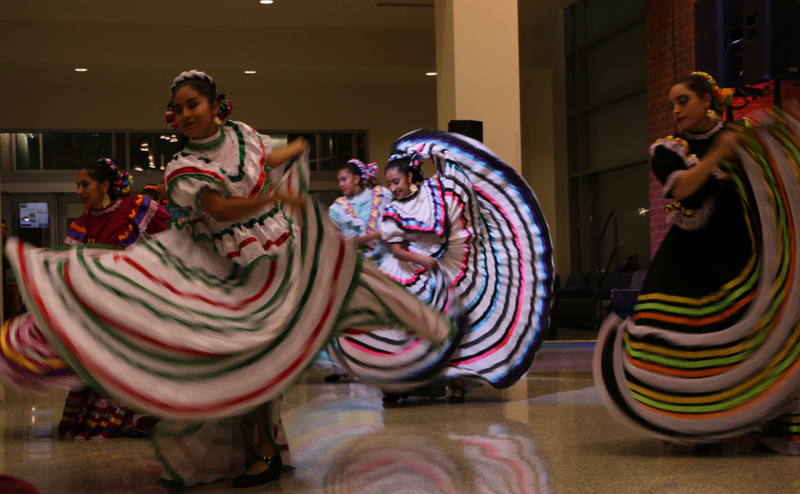 “It’s been a long process, but it’s exciting to see the final product,” Gonzales said. To see a video of what the virtual reality game looks like, visit Dean’s YouTube channel. Viewers can click and drag on the video player to move the camera in the video. The full game can also be played at the Immersive Storytelling Lab in the Bragg Media and Entertainment Building on campus. 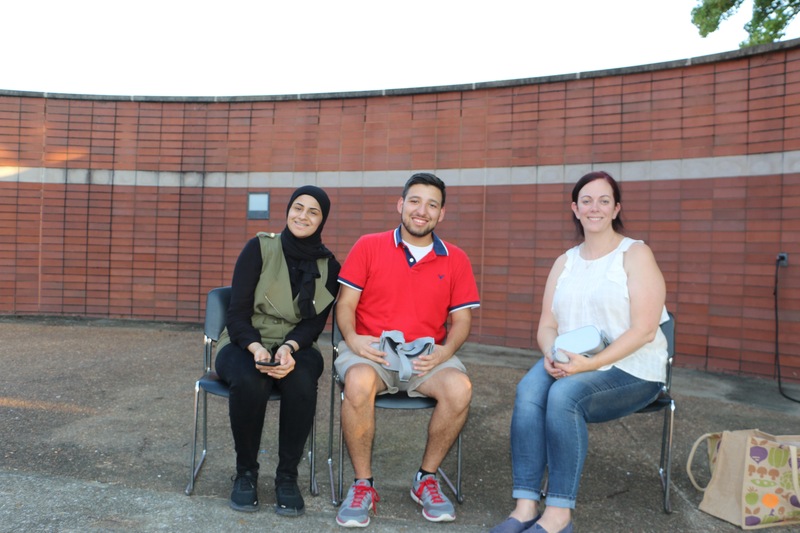 (Left to right) Wala Ajaj, Elman Gonzales and Stephanie Dean are the creators of the Revisiting Reality experience in Murfreesboro, Tenn., on Tuesday, Aug. 28, 2018. 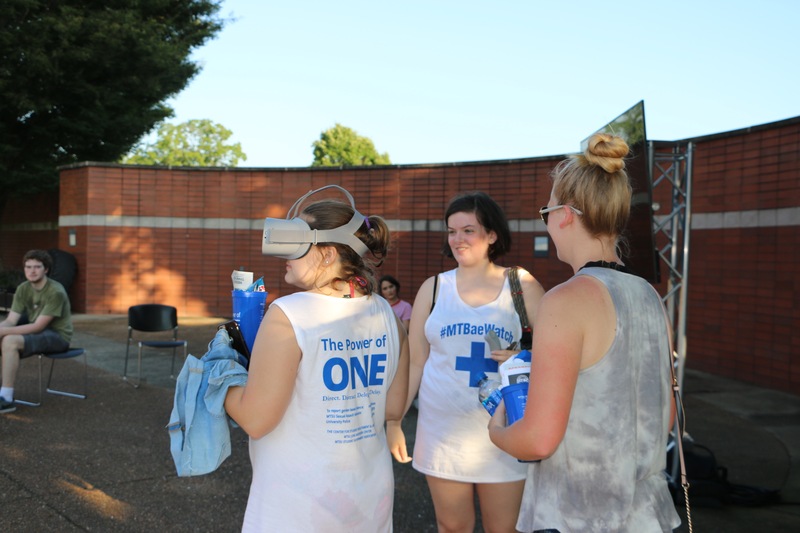 “VR has a lot of great possibilities and using it for education is a pretty noble thing to do,” says freshman and business administration major Zach Glisson after playing the game in Murfreesboro, Tenn., on Tuesday, Aug. 28, 2018. 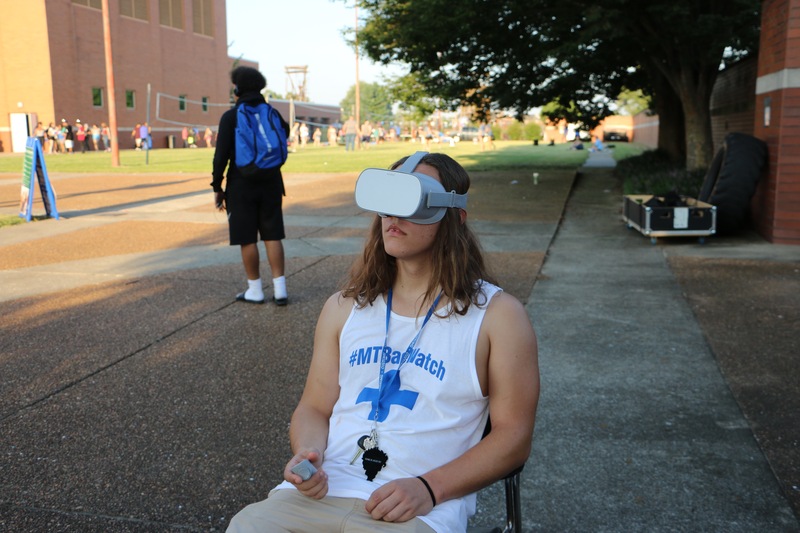 How interesting to see MTSU students creating an educational but also visually stimulating tool to help others read their environments more cautiously. Although this game is now available on MTSU’s campus, via the Immersive Storytelling Lab in the Bragg Media and Entertainment Building, it would be interesting to see how the creators could carry it farther. 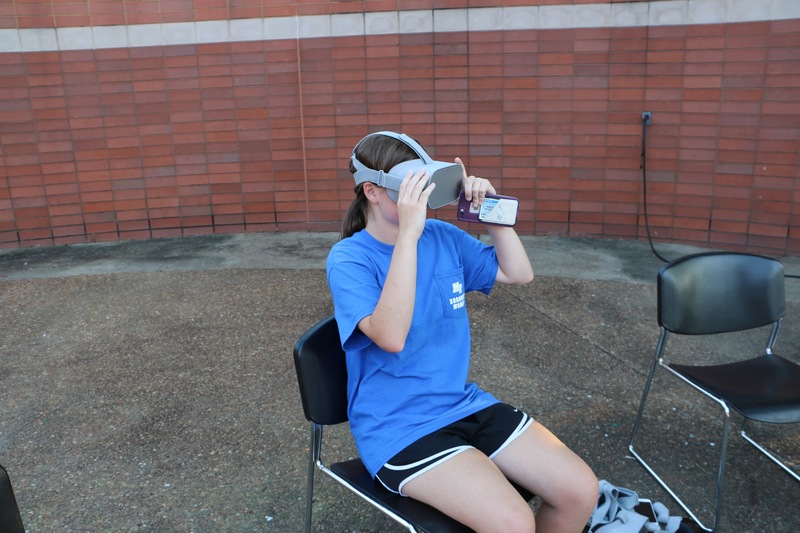 Because it was funded by the Tennessee Highway and Safety office, I wonder if they will try to implement the use of this virtual reality game on other campuses throughout the state as well. Even further, making this opportunity open to the public as well, since there are many young people not enrolled in universities. 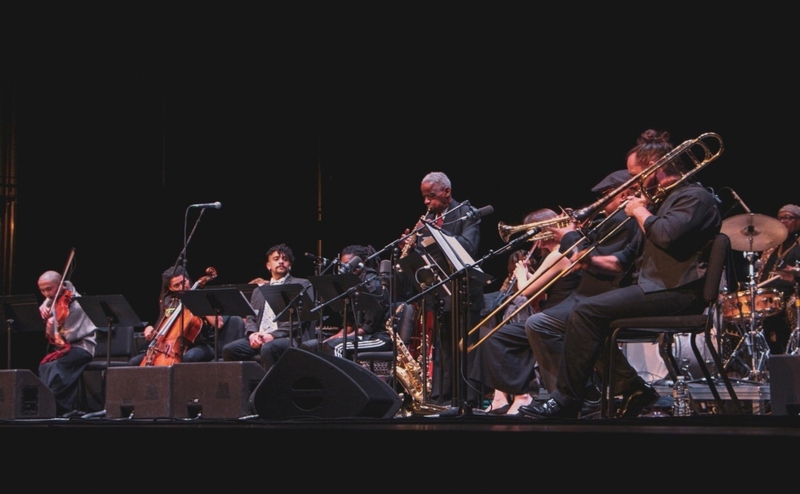 I think this is and has the potential to be a very useful tool for students and young people not just in America, but all over the world, to realize they can have an impact in these types of situations. Along with that, I believe that it is even more impactful in the fact that they used virtual reality as the tool for presentation. I think that the visual stimulation that comes along with the use of virtual reality will help students to more easily recognize situations in which they need to intervene. This will also help stimulate student’s memory to recognize those situations in real life.